Biggest Challenge: It’s been a tough few years for the Trojans. This senior class hasn’t seen many wins so taking that next step and expecting to find victories will be a big test early against a strong non-conference schedule. Outlook: Carrollton has good numbers returning and that experience should help. This group has seen some tough times but having players with Friday night time will help them gain traction early in the season. The schedule is tough every week so any early momentum could be key to a successful season. Biggest Challenge: The Eagles are young this year and while there is some talent a lot of the players haven’t been on the field in meaningful minutes on Friday nights. The new players will need to overcome that initial shock and learn what it takes to compete on Friday nights. Outlook: This is the youngest team that Hedrick has had in his four-years at Holden. His first year team was similar except it had record-setting tailback Max Mickey in the backfield. This season could see some growing pains but it could set up the Eagles for success down the line. Biggest Challenge: There have been quite a few coaches go through Knob Noster over the last six seasons and the effects of that can be seen in a lack of depth. Villigram is there for his second year so some consistency has steadied the program and as that continues the Panthers should see their numbers go up. Outlook: There are a good group of freshmen to replace the seniors who graduated so the numbers are stable this year. A solid number of starters are back and if the younger players can fill in some holes and the team can stay healthy Knob Noster might be in line for a few wins this season. Biggest Challenge: The tradition is strong at Lafayette County so this time of year is when the younger players learn that tradition. The Huskers are a veteran team and those leaders should handle the job well. Outlook: Lafayette County hasn’t lost a regular season game in two years. This could be another strong run and with seven starters back on both sides of the ball a deep run could be possible. This is a team to watch all season. Biggest Challenge: The Minutemen have experience and talent along with a good work ethic. The one piece that is missing is that vocal leadership that could push them to the next level. If Lexington can find that voice it could be a good year. Outlook: Lexington did well out of conference last year on its way to a winning record. The next hurdle is to find a way to have a winning conference record and go even further. The Minutemen will need to be focused in the conference and out with a schedule that includes an improved Wellington-Napoleon, Trenton and Tipton. 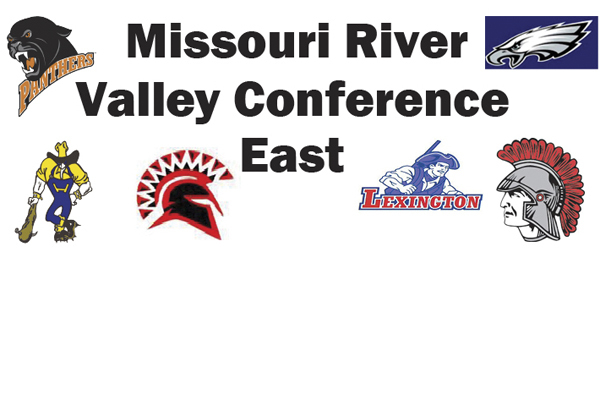 A good run through the non-conference will set Lexington up for another good season. Biggest Challenge: There is talent and experience but the depth is lacking. Right now the team needs to find a full level of commitment so the talent and experience can be converted into wins. Outlook: Richmond has been a top-flight program over the last few years but youth and injuries set the Spartans back last season. If this year’s team can buy into the tradition of the past it could be a bounce back.